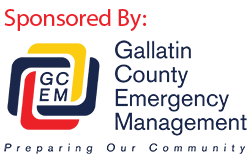 Saturday at 3:04 pm, the Gallatin County Dispatch Center received a 911 call reporting an injured snowmobiler 1.5 miles up Buck Ridge south of Big Sky, MT. The 36 year old Bozeman man had launched off a trail and sustained a back injury. Two Canyon Adventure snowmobile guides were in the area and located him. They were able to relay information to Search and Rescue members on the patient’s exact location and condition. Sheriff’s Office Search and Rescue at Big Sky responded and used an ambulance sled pulled by a Bearcat Arctic Cat snowmobile to transport the him to a waiting Big Sky Fire Dept. ambulance. SAR members arrived at the ambulance at 4:13 pm. He was taken to Big Sky Medical Center.